Srinagar, Jan 18: The weather office on Friday said that heavy to very heavy snowfall will occur in the Kashmir Valley starting from Saturday. Sonam Lotus, Director of the regional MET Office, said the snowfall will gradually become heavier and stronger in intensity till January 23rd. 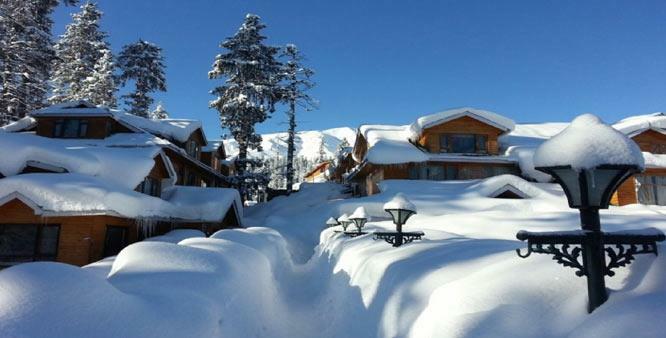 Divisional administration has warned people not to move around in avalanche prone areas, store enough edibles and other essentials as both surface and air connectivity are likely to remain disrupted during this period. Srinagar recorded minus 0.7 degrees Celsius, Pahalgam minus 10.3 and Gulmarg minus 10.0 as the minimum temperatures on Friday. Leh and Kargil towns recorded minus 15.6 and minus 19.2 degrees Celsius. Jammu city had 5.3 degrees Celsius, Katra 6.3, Batote 2.5, Bannihal 0.7 and Bhaderwah minus 0.8 as the night's lowest temperatures.